Thinking // Making: Does making help creative thinking? Thinking/Making: Does making help creative thinking? 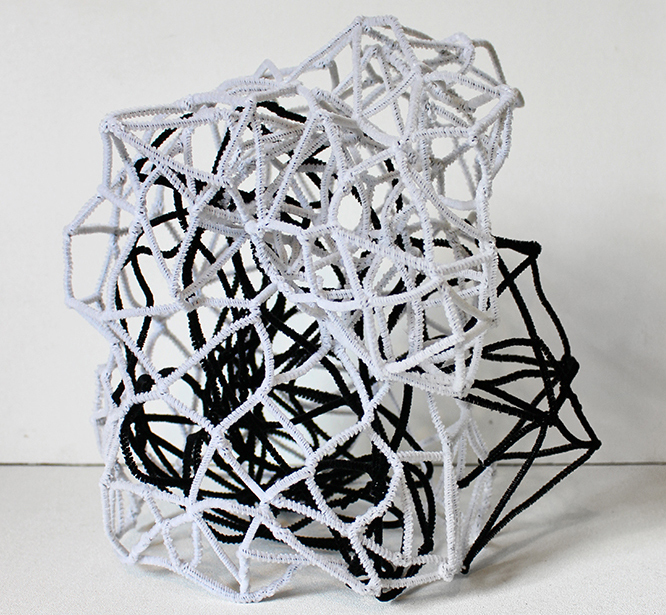 An exhibition of 27 selected artists’ maquettes and models exploring thinking through making. Rather than showing finished work, this was an exhibition of three-dimensional ‘sketches’, models and maquettes, made as part of the artists’ creative thinking process – either a kind of ‘making’ used purely as a thinking tool and/or as an aid to making actual work. Curious Projects received over 100 entries in response to their 'call for artists' to submit their maquettes and models. The result is a selection of 27 pieces that shows a broad range of practices, materials and techniques. The selected artists come from all over the UK (and even Australia), and whilst most have studied art, they have varied backgrounds and approaches to making work. Some of the artists are still studying, some are mid-career, and some have been practising for decades. Yvette Sullivan and Caelli Jo Brooker exhibited a collaborative maquette. "We are interested in collaboration, and how creative thinking can be shared, visualised and mapped through processes of making. Using the Deleuzo-Guattarian rhizome as a metaphor to explore the non-hierarchical, and interwoven potential of shared experience, we have explored ways to model, make and document thoughts, values, processes and priorities for creative collaboration. The exhibited maquette draws on work produced during ‘Mapping Collaboration’, an experimental event in which a central gallery space was dedicated to the participatory building of a rhizomatic structure - creating a visualisation of collaborative values, that documented and informed collaborative thinking and encounters through its very making."